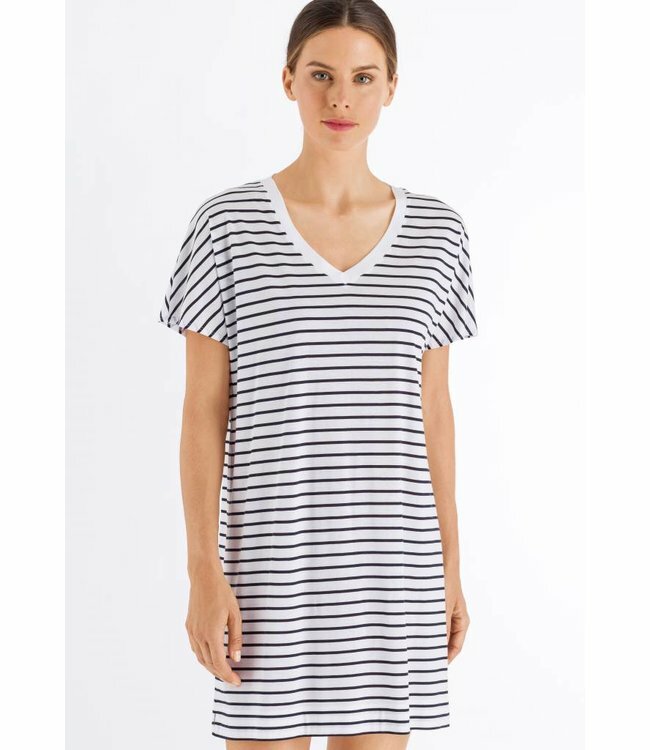 Nostalgia meets modern with this lightweight sleepwear for summer. Made from airy cotton jersey. Adorned with retro eyelet cotton embroidery in a graphical zigzag design. Decorated with subtle details such as delicate tassels for a special touch. Read more..